Expand search to view more listings in and around Elk Grove. See more offices in and around Elk Grove. We currently have 1 office building located in ideal Elk Grove business areas, offering office suites in a range of sizes and configurations. 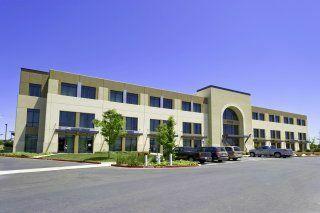 With short term and flexible contracts, you will have all the benefits of a prestigious business address in Elk Grove, California including a wide range of support services and facilities, without the commitments of a conventional office space lease. Our goal at Offices.net is to provide you with exceptional offices space and executive office suites in Elk Grove, California, suitable for your individual business needs. With a fantastic selection of facilities and support services available, and flexible rental agreements, you will be assured of an easy move to your new Elk Grove business premises. Most of the business centers come inclusive of a range of office services, with friendly reception staff, security and IT personnel, WiFi and internet services. A number of the office buildings provide video conferencing facilities, conference rooms, and kitchens. Just pick one of the offices to rent in Elk Grove displayed above. Every office boasts a prime business position in Elk Grove, with flexible rental terms to suit your office space requirements. We also have executive office suites and flexible office space for rent in other cities throughout California. Get in touch and we will be happy to help you find your company's ideal office space.